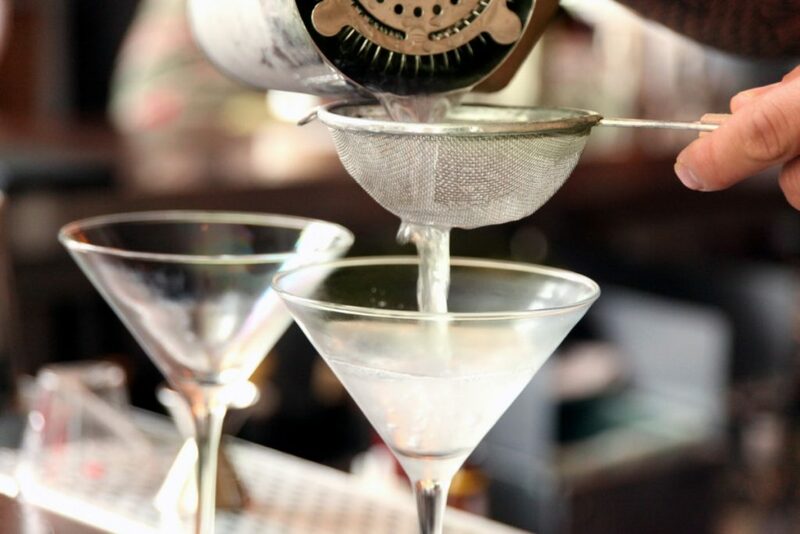 Symbolic of speakeasies and the silver screen, cocktails have seen a resurgence in recent years with the shaker remaining an essential element for any bar. Before its invention in the 19th century, drinks were either stirred with long-handled spoons or tossed back and forth between two tumblers. This made for excellent showmanship as well as an excellent mess! The concept of the cocktail shaker came about when an innkeeper discovered that it was much easier to mix a drink by fitting a larger glass over the top of a smaller one. Soon hundreds of designs flooded the market as bartenders sought to perfect the device. The three cocktail shakers still in use today are the Boston, the Parisian and the Cobbler, a two-part design with a built-in strainer. Although most are now made from stainless steel, their forms are not far removed from their original invention almost two hundred years ago. As the rebellious culture of alcohol began to grow during the Prohibition era, so did the shaker’s popularity. Keen to sneak an illegal sip, liberated youngsters would drink cocktails with names like Fox Trot and Zanzibar in hidden saloons. Even the shaker’s design appeared to be breaking away from the norm, as tuxedo clad penguins and German zeppelins influenced the shape. The Second World War saw an end to these heady days, and it would be replaced by the push-button age of the 50’s and 60’s, when blenders took all the fun out of mixing drinks. Today however, nostalgia is stirring up a thirst for cocktail culture. Mixologists are once again serving up drinks with style, and even at home, we’re experimenting with fixing our own concoctions. Cheers to that!